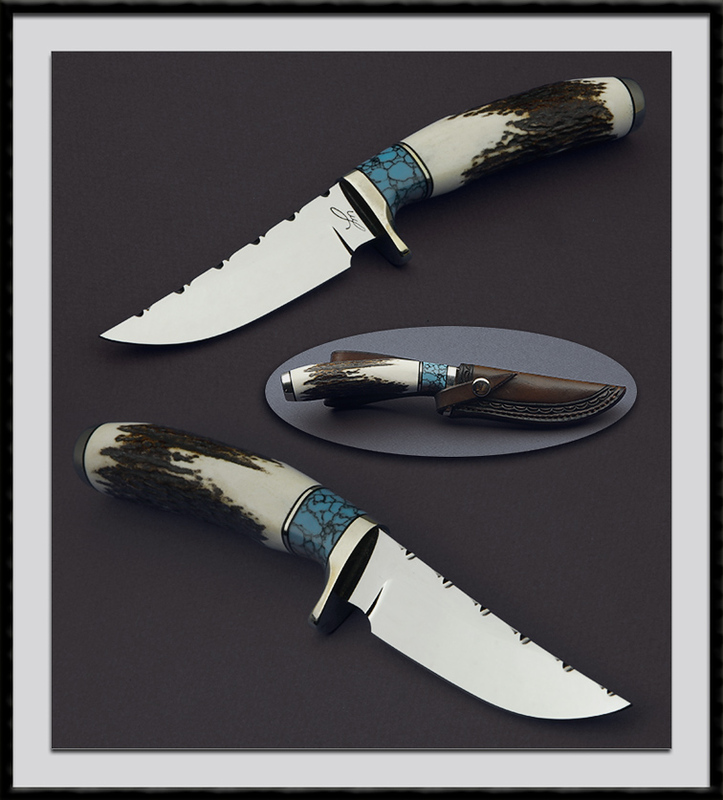 Larry Mensch crafted this Trailing Point Hunter, Mirror polished 440C blade, BL = 3 7/8", OAL = 8 1/2", Nickel silver fittings and a Stag handle. Condition is Mint. Comes with nicely tooled Tree Stump sheath.